Washington, DC – Today, Congresswoman Barbara Lee introduced legislation to halt the sale and consolidation of historic US Postal Service facilities. The Moratorium on US Historic Postal Buildings Act would prevent USPS from selling any facility until all buildings listed or eligible for listing in the National Register of Historic Places are removed from the auction block. 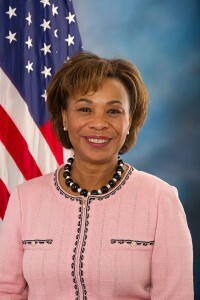 via Congresswoman Lee Calls on Congress to Prevent Sale of Historic US Postal Buildings | Congresswoman Barbara Lee.